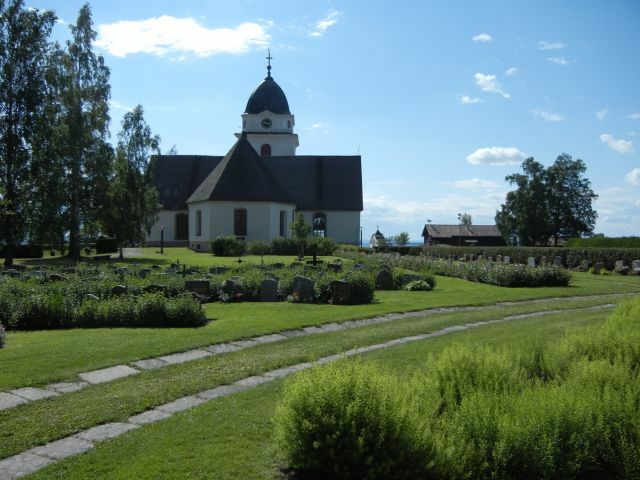 Rättvik's Church dates back to the 13th century. It is built in several stages and is in its present form from 1793. From the Middle Ages church there are cork covers and wooden figures preserved. The parade is from the 17th century and the 17th-century altar array. In the tower hangs Dalarna's oldest clock trio. At the church lies Stiftsgården. Surrounding Area In an arc from the northwest to the northeast of the church are 87 cemeteries of church figures in two marked clusters of alleys and small open spaces. The visit to the church was about not only the mandatory visit to God but also the rest of the churches at the church hall to: the parishes, the news moderate, the tenth, the city squad, the hook visit, etc. A stable for the horse was a must! The present stables are mainly from the 17th to 18th century, but one of the stables is according to the dendrochronological dating from 1492. Besides horseback riding, boats were used to take many villagers from parts of Rättviken to the church. For centuries, large boats with 8-12 pairs of paddles have plowed Siljan's waves. By the middle of the 19th century, some Sundays you could count up to eight boats being moored at the church's pier. Even today, at least one church boat arrives at the pier for church service in Rättvik's church.